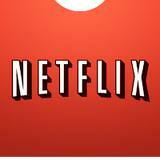 Netflix has announced a multiyear deal with DreamWorks Animation for new TV shows for its Internet streaming service. DreamWorks will provide new episodic TV programs inspired by characters from past DreamWorks Animation franchises, including “Shrek” and “The Croods,” and its upcoming feature films. Characters from Classic Media, which the studio bought last year, are also included in the deal, so shows may be developed around Casper the Friendly Ghost, Lassie, She-Ra and Mr. Magoo. The deal is for 300 hours of original programming. DreamWorks has been trying to reduce its dependence on the volatile movie business by expanding into TV programming in a fairly aggressive manner. In prior years, DreamWorks’ primary focus was on developing and releasing at least two blockbuster movies a year. While DreamWorks has had strong success with its films, one underperforming film can cause the company’s stock price to plummet, like it did last year when “Rise of the Guardians” failed to meet expectations. The hotly competitive market for streaming content has been receiving increased attention in recent months. Major streaming services like Netflix, Hulu and Amazon are in a heated competition to capture the attention of viewers who are gravitating to the Web, especially younger ones. Deals like these are designed to bring Hollywood-caliber content to the Web first. Four TV shows currently contain characters from the studio. Three of the shows are licensed to Nickelodeon while the fourth appears on Time Warner’s Cartoon Network. Jeffrey Katzenberg, the studio’s chief executive, and Netflix announced this year that a new episodic series called “Turbo: F.A.S.T.” would appear on the streaming service in December. The other new shows will begin to appear on Netflix next year. New films from Disney and Pixar will move to Netflix from Starz in late 2016. Netflix will have exclusive rights to the series in all of the countries in which it operates. The company currently has about 27 million streaming subscribers in the United States. A DreamWorks Animation spokeswoman declined to discuss any more details of the deal, including the financial terms of the agreement.